Venice was built on an island that is divided into two parts by the Canal Grande, the world-famous canal cut through by gondolas. The island of Venice is part of a lagoon, which also includes other islands. You have already probably heard about Murano or Burano, but there is another one in front of Venice that is 13 km long and only 300 metres wide: Lido di Venezia. Lido of Venice was a discovery to me. I had never been on it. 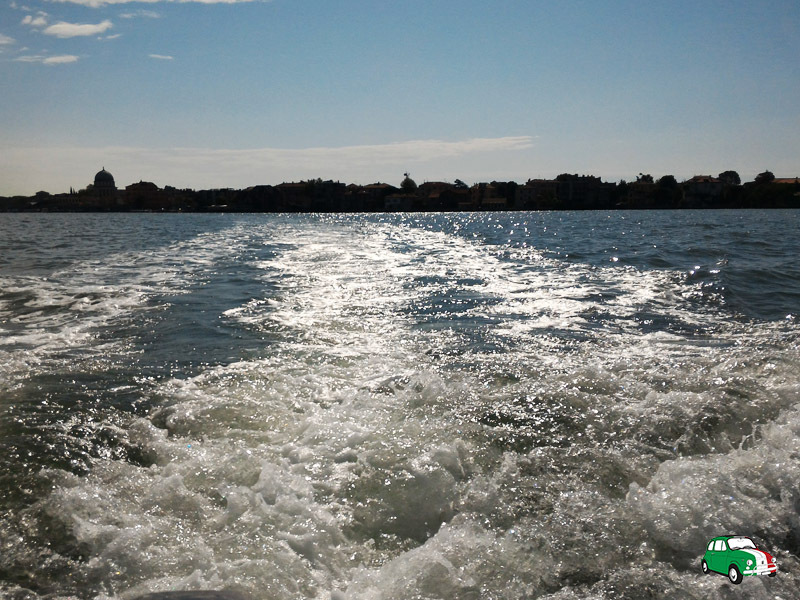 This long, narrow island is the beach of Venice. In fact ‘lido‘ means ‘beach’ in Italian. This beach is both sandy and rocky. When you choose a beach establishment in Italy, generally you get a beach umbrella with chairs. Not on the Lido of Venice. There you will get a hut: a big changing room with a little veranda and a curtain; you can also have beach chairs and umbrellas. This arrangements is for private beach establishments. There are also public beaches where you can sunbathe without paying any fee, like spiaggia di San Nicolò and spiaggia degli Alberoni. Try to avoid the Bluemoon beach, near the Santa Maria Elisabetta vaporetto stop. There are always a lot of tourists at this beach. It is better to walk to the other side of the island (300 mt). You can think of Lido di Venezia as an “island of sports”. In 4 square kilometers you will find an 18-hole golf course that opened in 1921, many tennis courts, cicle ways. You can also swim, sail, play rugby and do archery. There are 3 playgrounds and a private airport, where you can also rent a helicopter. Lido of Venice is the location of the Venice Film Festival. Along Lungomare Marconi you will find Palazzo del Cinema, where famous actors and actresses walk down the red carpet from the end of August to the beginning of September. This festival, founded in August 1932, is one of the longest running film festivals in the world, along with those hled in Cannes and Berlin. The first prize is called Leone d’oro (the golden lion) and evokes the symbol of the city. Hotel Cristallo is the hotel where I slept when I was in Venice few days ago. 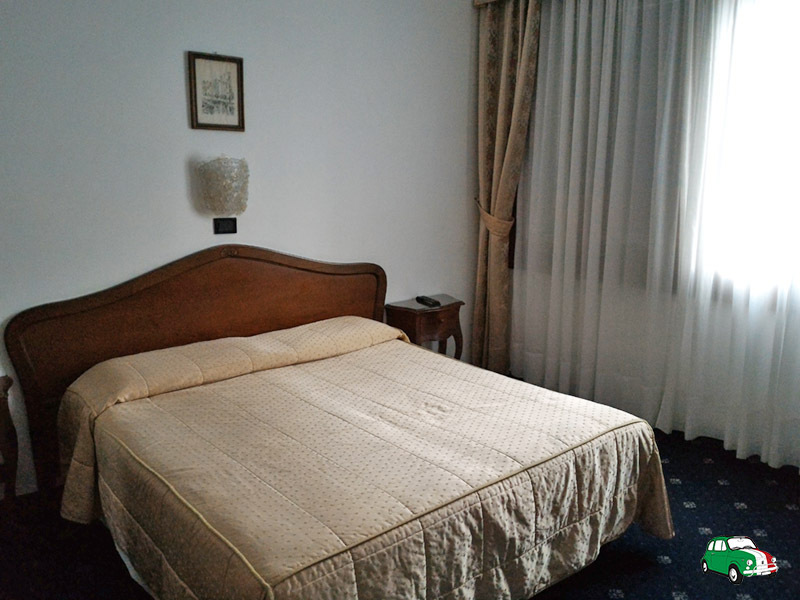 It is a 2-stars hotel on Lido of Venice along one of the main streets of the island. This hotel is the perfect solution if you want to relax after a day of walking in the city centre to avoid stress from the crowds. The rooms have basic furniture and mattresses are comfortable. The hotel offers Wi-Fi connection for free in the rooms. At breakfast you can eat sweets and savouries: croissants, marmelade, butter, cold cuts, salami, cheese and much more. You can drink espresso, cappuccino and fruit juices. The Hotel Cristallo is far from the noise of the beach bars that are open during the summer. Near the hotel there are bars and restaurants where you can have aperitivo or dinner. There are also shops, ATMs and a supermarket. During summer, the hotel also provides a hut on a private beach when you book directly. You can use all the services offered by the beach establishment, like restaurant, lifeguard, toilette or hot water shower. 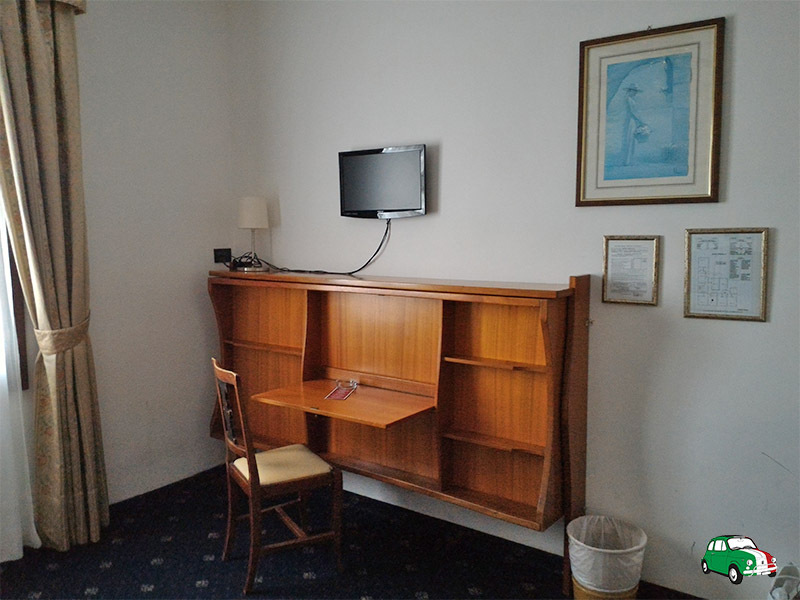 Everything is included in the price of the room. Hotel Cristallo is very easy to find. 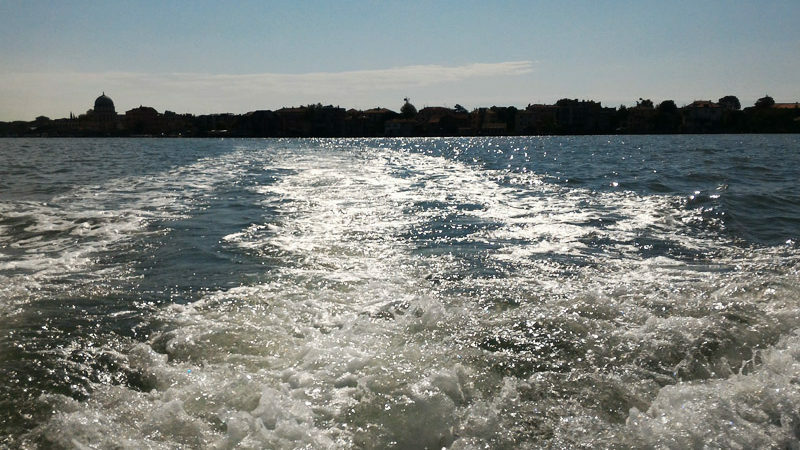 When you take the vaporetto (public water transport) from Venice city centre, choose the Lido stop at Santa Maria Elisabetta. After you get off the vaporetto you will find a roundabout. Take Gran Viale Santa Maria Elisabetta. It is a wide street full of bars, restaurants and shops. Walk for about 350 mt (5 minutes). Hotel Cristallo is number 51 on the left side of the street.